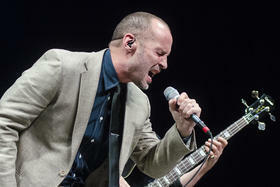 Paul Thorn's Mission Temple Fireworks Revival is named after our "Song of the Week." This time he brought extra reinforcements as he presented his Mission Temple Fireworks Revival, featuring renowned family gospel singers The McCrary Sisters. The band takes its name from this week's Song of the Week, the outrageous Thorn and Billy Maddox composition "Mission Temple Fireworks Stand"- about a man of faith who sells "Cherry bombs for Jesus in a tent beside the road." Paul next release, "Let The Devil Ride," is due for release on March 23, 2018. 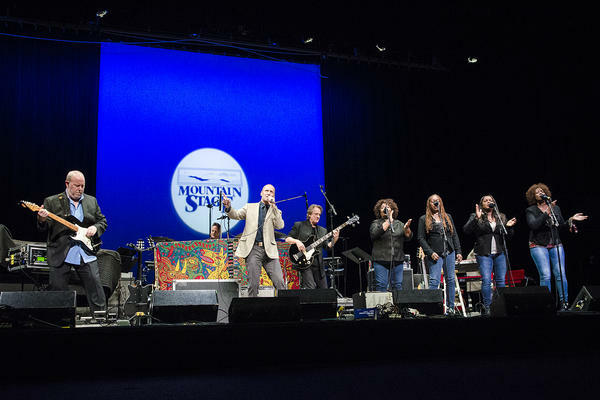 You'll hear the entire set from Paul Thorn's Mission Temple Fireworks Revival on this week's broadcast on 200 public radio stations, plus performances by North Mississippi Allstars, Bonnie Bishop, Ireland's Declan O'Rourke plus a special appearance by WV Storyteller Bil Lepp. Find a station in your area to find out where to listen, and be sure to follow Mountain Stage on Facebook, Twitter and Instagram for a peek behind the scenes.